Sorry, this job expired on Feb 1, 2018. Below are other jobs that may be of interest to you. 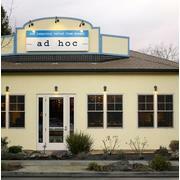 Providing temporary relief for hunger, Ad Hoc represents the best in warm, family like hospitality. Our highly acclaimed kitchen is seeking an experienced Pastry Chef de Partie. Qualified individuals should possess a strong attention to detail, organization and cleanliness. In addition to technical skill of a minimum of 3+ years of experience, the individual must have strong interpersonal and communication skills and the ability to be a strong team collaborator. Retirement Savings, offering both pre-tax and post-tax savings options with company matching, offering immediate vesting. If this opportunity doesn’t interest you, but you have a culinary background, share your resume for future consideration. Thomas Keller is regarded as a world leader in the culinary profession. The properties and people he inspires are dedicated to setting new restaurant standards in service, cuisine and employment experience. Our goal is to collaborate with talented restaurant professionals and offer opportunities to learn and grow within the industry. We proudly represent the French Laundry, per se, Bouchon, Bouchon Bakery and Ad Hoc. We seek inspired candidates who are passionate about food, wine and service. Looking for other opportunities with our group? Check out open positions ThomasKeller.com/careers! We are dedicated to hiring a diverse staff and strongly encourage qualified minority and female candidates to apply for all positions. the building at 6476 washington street was originally intended to be a very different type of restaurant. while we were designing it we thought we'd experiment by opening a temporary restaurant and calling it ad hoc, which literally means, "for this purpose." the idea for ad hoc was simple - 5 days a week we'd offer a 4 course family style menu that changed each day, accompanied by a small, accessible wine list in a casual setting reminiscent of home. we wanted a place to dine for our community and ourselves. the decision to change over the restaurant, however, was taken out of our hands by our guests. the response was so positive, we simply couldn't close. so, in january 2007, we decided to stay open permanently and now we're serving dinner 5 nights a week as well as sunday brunch.